Smash His Camera, the first installment of the 2010 HBO Documentary Films Summer Series, premieres Monday, June 7 at 9 p.m. ET/PT. 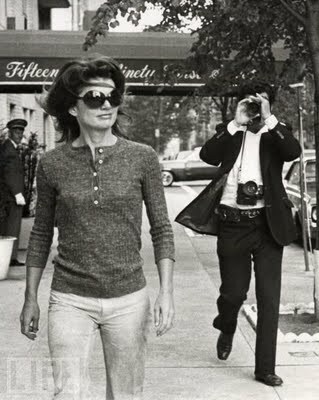 Smash His Camera profiles Ron Galella, considered by many to be the original paparazzo. Beginning in the 1960s, Galella elevated the celebrity snapshot into art, capturing the likes of Andy Warhol, Marlon Brando and Jacqueline Kennedy in their most candid moments. Onassis sued him, Brando broke his jaw and Steve McQueen gave him a look that could have killed. Over a career that has spanned roughly half a century, the notorious, oft-reviled paparazzo Galella has captured countless iconic images of celebrities, most often against their wishes. His story opens a Pandora’s Box of issues: from the right to privacy, to freedom of the press, to the ever-growing vortex of celebrity worship. In Smash His Camera, director Leon Gast places Galella at the center of the debate about the First Amendment right to privacy, while chronicling his career taking some of the most iconic photographs of our time. Throughout the film we meet luminaries of the art world, famous photographers, well-known journalist and magazine publishers, all of whom weigh in on Galella; while some praise him, others cannot keep their distaste to themselves. Indeed, Galella’s work and tactics have their critics, but his influence is undeniable. next post: Fashion Fights AIDS San Francisco – Because Enough Isn’t Being Done!